If you've been a diligent saver, you've probably recognized the importance of having a mix of retirement accounts: a tax-deferred IRA or workplace retirement account like a 401(k), a tax-free Roth 401(k) or Roth IRA, and maybe even a taxable brokerage account. 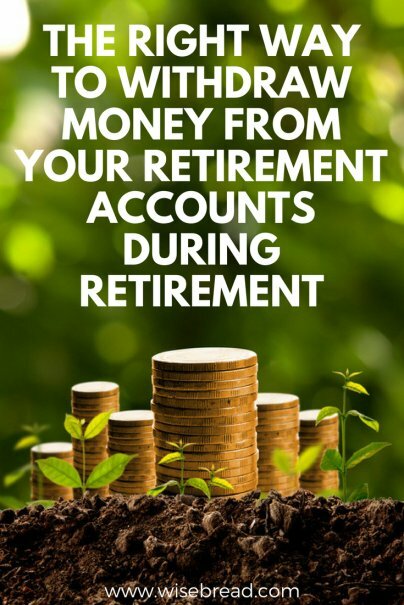 And you probably already know that one way the government "persuades" you to keep your money in your IRA and 401(k) accounts is by imposing a penalty on most withdrawals before age 59½, at which time you can begin taking penalty-free distributions. When you're finally ready to retire and start taking your distributions, you may wonder how to do it and which accounts you should draw from first. While avoiding taxes shouldn't be your only focus — after all, you've already spent years sheltering your retirement savings — here are some basic tax strategies that can guide you during the drawdown process. One of the most popular ways to save for retirement is through the use of a tax-deferred retirement account, such as a traditional 401(k) or traditional IRA. You may have the majority of your savings in these accounts. Contributions to these accounts are made on a pretax basis. This allows you to keep more of your money during the saving and investing years, with the idea being that, although you will eventually be taxed on your withdrawals, you may be in a lower tax bracket than when you contributed the money. Another popular retirement account is a Roth IRA or Roth 401(k), and while there are some significant differences between these two accounts, the fundamental structure of how they work is the same. You contribute after-tax money to the account and, assuming you follow all the rules, your money will grow tax-free and remain tax-free even when you begin qualified withdrawals. To round out your retirement accounts, you may have used a regular taxable brokerage account to invest above yearly retirement contribution limits. When you sell investments in a brokerage account, you may still owe taxes on your earnings. If you sell investments that you've held for more than one year, earnings will be subject to long-term capital gains tax. That rate depends on your tax bracket, but is 15 percent for most taxpayers. By contrast, when you sell investments that you've held for less than a year, any earnings are considered short-term capital gains and will be taxed at ordinary income tax rates. If your investments have lost money, you may be able to claim those losses on your tax return. The years between when you turn 59½ and when you turn 70½ can be crucial to your retirement plan. This is the time when qualified distributions are penalty-free, yet it's before you're actually required to take any distributions. If you've left the workforce for full retirement or are working part-time and are now in a lower tax bracket, consider taking distributions from your tax-deferred accounts to both live on and possibly to roll over into a Roth IRA, an account that does not require RMDs. Note that while you can convert a tax-deferred account to a Roth IRA if you're not working, you cannot contribute to a Roth IRA outright unless you or your spouse are earning income from a job. Figuring out how to spend your retirement savings can be trickier and more complicated than it was saving all of that money, but understanding the different tax implications of your various accounts can assist you in finding the strategy that works best for your situation.